These days, the issue of expanded street movement has made the treatment of vehicles more troublesome. Thereby there is a need to find an alternative mechanism for easy steering (turning) of the vehicles. At times when a vehicle is in a congested or a narrow area, a better turning response from the vehicle is expected or we may want the vehicle to move without much movement. This four-wheel steering is made by using mild steel and laser cutting. 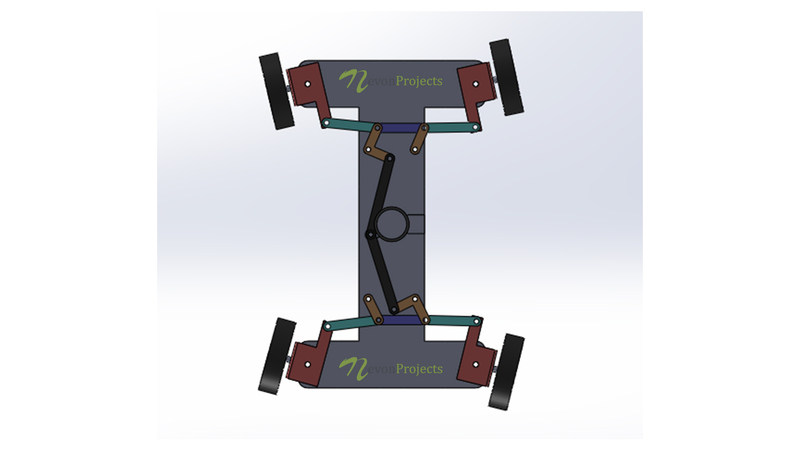 This project makes use of linkage mechanism, where the front wheels and back wheels are connected to each other with the help of link in such a way that both the front wheels and the back wheels turn simultaneously. These links are connected to the motor which will make the wheels turn. 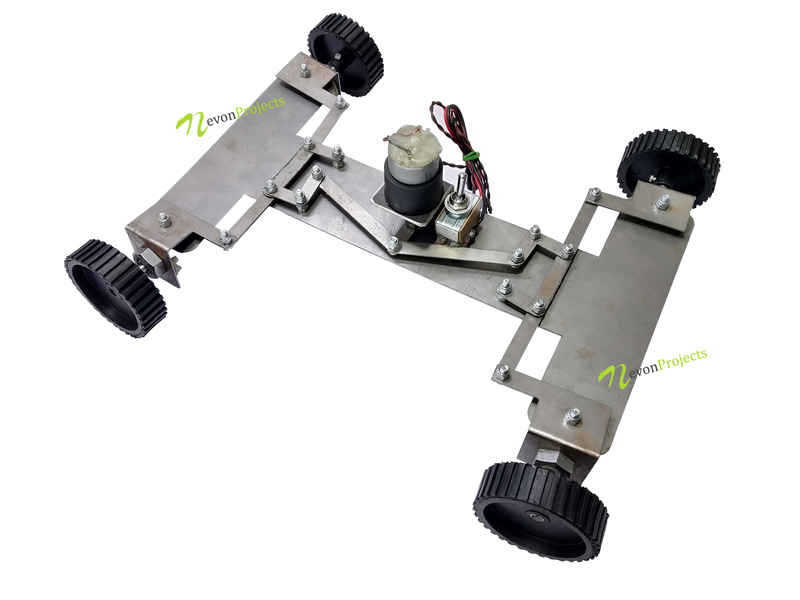 There are many advantages of four-wheel steering system some of them are, this mechanism makes the vehicle to be more precisely controlled, especially during cornering, parking, or while travelling in narrow areas.